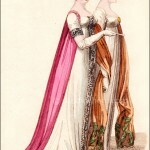 Fashions of London and Paris, July 1804. 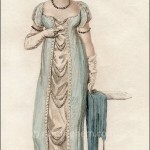 During the early years of the new century, full dress often included a hat. 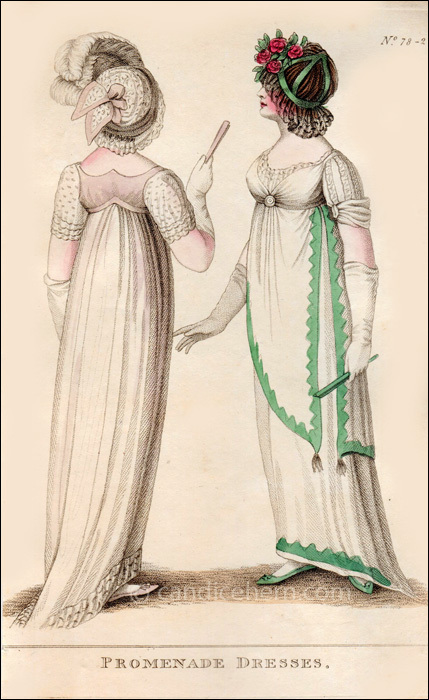 Evening hats appear now and then in later prints, but they lose popularity in the mid-Regency years, then come back on trend in the late Regency years. “Fig. 1. A full dress of sprigged muslin over a silk slip, short sleeves of lace. A cap of white lace over silk. White ostrich feathers. White gloves.